The pope has approved an investigation into Vatican archives on an ex-cardinal. The prelate of the congregation of bishops at the Vatican has written a letter denying accusations that Pope Francis and his predecessor, Pope Benedict XVI, were aware of sexual misconduct accusations against a prominent American cardinal. Cardinal Mark Ouellet wrote in response to former Vatican ambassador to the U.S., Carlo Maria Vigano, who in August accused Pope Francis and Pope Benedict of knowing about sexual abuse accusations against former Cardinal Theodore McCarrick, who served as the Archbishop of Washington from 2001 to 2006. (Giulio Origlia/Getty Images, FILE) Cardinal Marc Ouellet leaves the opening session of the Synod on the themes of family at Synod Hall on Oct. 5, 2015 in Vatican City, Vatican. 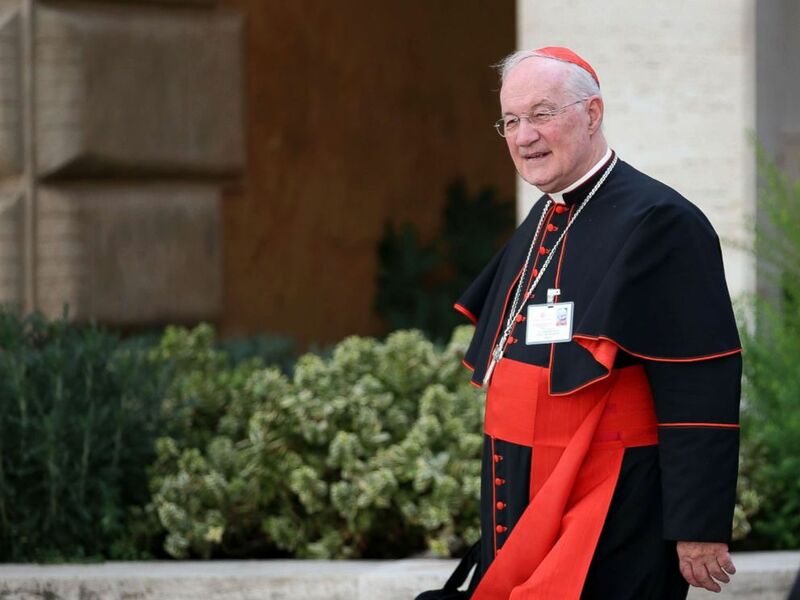 In the open letter, Cardinal Ouellet wrote that Vigano's accusation against Francis was baseless, describing it as "blasphemous." "I cannot understand how you were able to let yourself be convinced of this monstrous accusation which has no standing," Ouelet wrote. On Saturday, the Vatican announced that Pope Francis approved an investigation into McCarrick using Vatican archives to figure out why he was able to rise through the ranks of the church despite allegations of sexual misconduct. 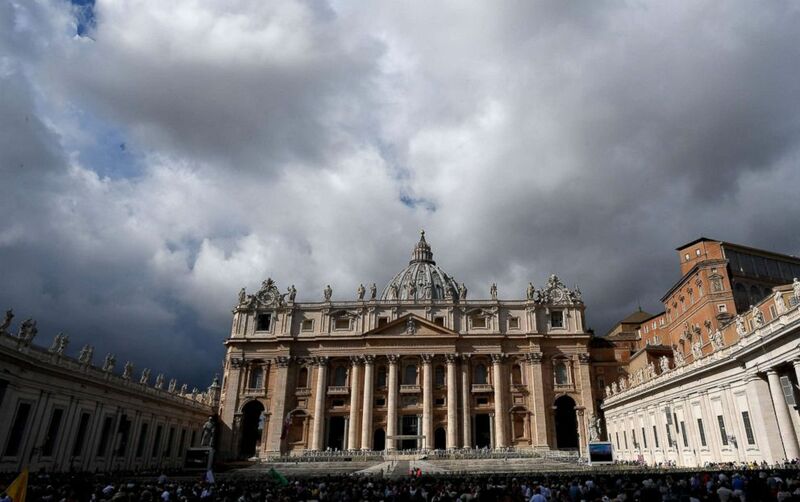 "Both abuse and its cover-up can no longer be tolerated and a different treatment for Bishops who have committed or covered up abuse, in fact represents a form of clericalism that is no longer acceptable," the statement read. (Tiziana Fabi/AFP/Getty Images) People gather in St. Peter's Square as Pope Francis recites the Angelus noon prayer from the window of his studio at the Vatican, Oct. 7, 2018. However, the investigation is limited to documentation in the archives, which could limit its scope, as the scandal also allegedly involves verbal communications that may not have a paper trail, The Associated Press reported. In his letter, Ouelett wrote that the current pope "had nothing to do with McCarrick's promotions in New York, Metuchen, Newark and Washington" and that Francis removed him as soon as the credible accusation of abuse against a minor surfaced. Although Ouellet admitted that there were "defects in the selection process" that allowed McCarrick to be "promoted on several occasions, even to the point of being invested with the highest function of Archbishop of Washington and Cardinal," he wrote that it is important to understand that the decisions were made based on information available at the time. Ouellet also wrote McCarrick was able to defend himself "very cleverly with the doubts raised about him." "I, as many, hope that for respect of the victims and demands of justice, the ongoing investigations in the US and the Curia will offer a critical and comprehensive view of the procedures and the circumstances of this painful case, so that things like this don’t happen again," Ouellet wrote. (Robert Franklin/South Bend Tribune via AP, FILE) Cardinal Theodore Edgar McCarrick speaks during a memorial service in South Bend, Ind., March 4, 2015. McCarrick, 88, resigned from the College of Cardinals in July after he was accused of molesting a 16-year-old altar boy while serving at the Archdiocese of New York in the 1970s. He stepped down from his role as archbishop of Washington in 2006 due to age but remained a cardinal and continued living at the seminary at the grounds of the Archdiocese of Washington. A July report from The New York Times also alleges that McCarrick coerced seminarians into sexual relationships. (Andreas Solaro/AFP/Getty Images) Pope Francis addresses the Synod of Bishops, focusing on Young People, the Faith and Vocational Discernment, Oct. 3, 2018, in Vatican City. 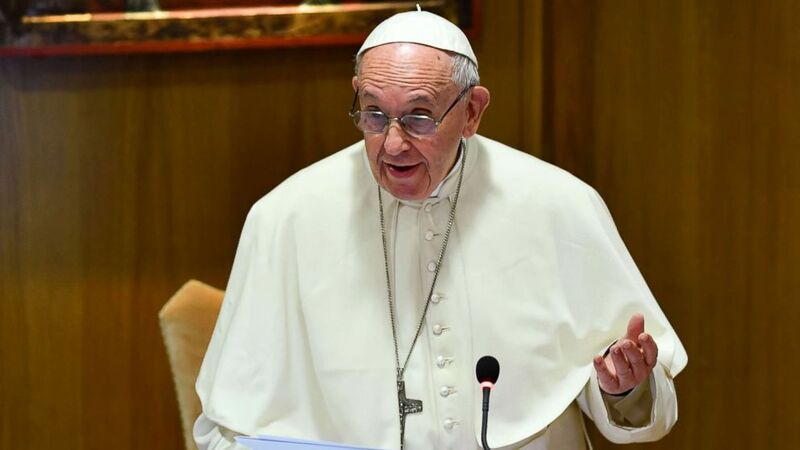 Pope Francis said in July that he would "not say a single word about this," adding that the accusation "speaks for itself." He urged journalists to consider the source and make their own judgment. 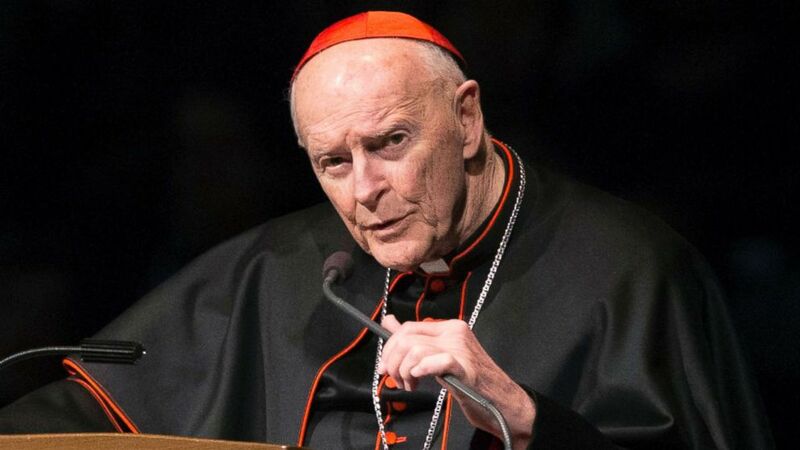 The Archdiocese of Washington has denied that it was aware of sanctions due to allegations of abuse against McCarrick. ABC News' Phoebe Natanson, Mark Osborne and David Wright contributed to this report.